FC4:16 PM 10 sweets for free! By now, I should have mastered how to take care of my skin already. It’s as simple as keeping your face clean and moisturizing it. Doing this could be a little tricky, that’s why sometimes we need professional advice when it comes to skin care. That and trying to find the products that would suit your skin. I had a pleasant experience getting pampered at The SKIN at The Spa. Once a month, it is advised to get your face cleaned. Cleaned from clogged pores and trapped dirt under your skin. Think of it as your monthly maintenance. For my visit at SKIN, they introduced me to Dr. Sheila who assessed what kind of cleaning /treatment I needed. This is one of the famous services that SKIN has that I highly recommend. This treatment is set in the luxurious environment of SKIN Dermatology and Laser Center located inside The Spa Wellness at The Fort. 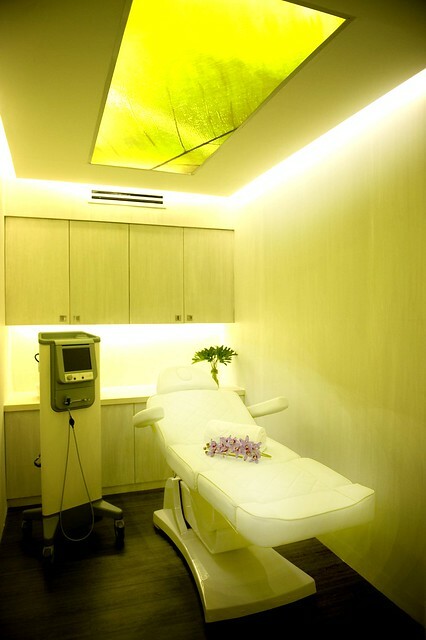 It’s a complete treatment that combines the benefits of the Signature SKIN Facial and Diamond Peel in one facial. What I liked about this service is they pamper you first with a facial massage that’s sure to relax you instantly. The first step to skin-rejuvenation starts with the application of cleanser to remove dirt and make-up, then the toner to remove residue left by the cleanser. My therapist, Maricel, applied scrub to exfoliate the skin. 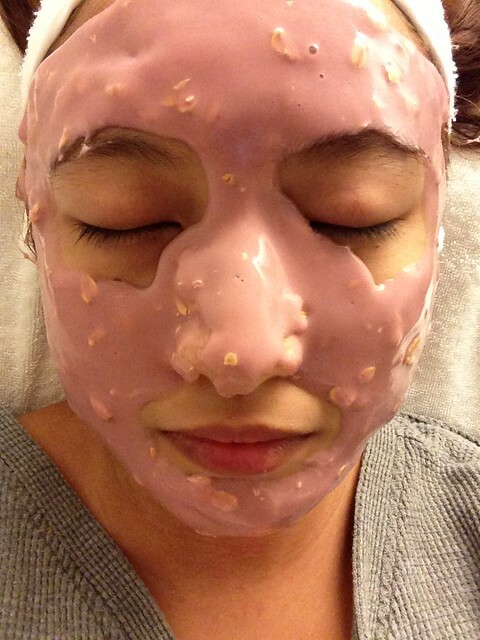 Then, the she applied an enzyme peel to remove dead skin and left for 10 mins. After that, my face got exposed to steam for 5-7 minutes to open pores. After 7 minutes she then proceeded to the the safe, non-invasive skin procedure Diamond Peel. It deeply polishes the skin using genuine laser-cut diamond tip applicators to remove dead skin cells and promote growth of healthy new cells. This would result to a smoother, more radiant and flawless complexion. What I like about this service is that the cleaning and extracting of white and black heads is done by a certified dermatologist. Doc Sheila complimented my skin. She said it was healthy and nice and that I just need to maintain it. The last process (almost) is when they wrap you with a Mask that depends on your skin type’s needs. They use Casmara mask for sensitive skin because my skin reacts easily to chemicals. It was one of the most relaxing facials I’ve ever had. I said “almost” done, because after everything, the therapist gave my shoulders a quick massage and neck stretches. Overall, it was one of the most relaxing facial cleaning I have ever experienced! That’s why I’m also sharing this experience with you. 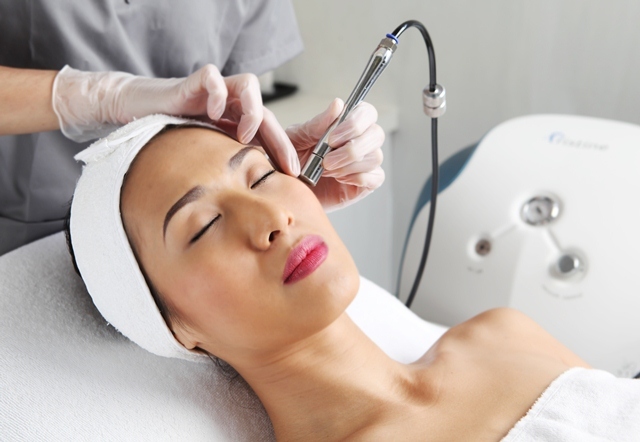 The Ultimate Diamond Facial keeps or skin youthful looking and glowing. Tell me now, how do you keep a youthful glow on a daily basis? I am going to select the best answer and announce the winner by September 1, 2013 (Sunday) at around 10 pm. SKIN Dermatology and Laser Center, The Spa and barre3 are part of the The Spa Wellness group of brands. 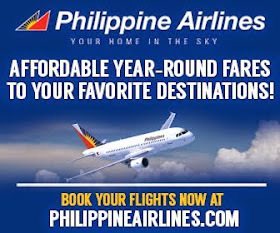 For more info, visit www.thespa.com.ph. I cleanse my face, use toner, and moisturize 2x a day. I also exfoliate 2 to 3 times a week. Plus I drink lots of water everyday and try to get in the steam room at least 1x a week. how do you keep a youthful glow on a daily basis? A youthful glow does not come to you in a single pouch, on top of the usual keeping your skin regularly washed and cleaned, I believe that ones youthful glow would come from his attitude and perception in life. If one is able to embrace the beauty of life, feel the happiness and love from family and friends and cope up with daily challenges one is faced to - then achieving a youthful glow would never be a problem. As much as possible I try to sleep at least 7 hrs a day- it really lessens my undereye circles and my face is not sallow looking. I apply a moisturizing serum every night and a sleeping mask twice a week. Congratulations! 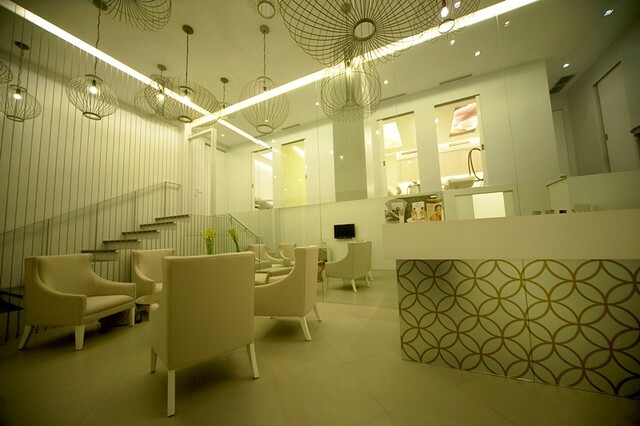 You have won an Ultimate Diamond Facial from SKIN at The Spa! You know how it is to be young and beautiful inside and out! Keep on wearing that invisible crown! I will email you for details. Please stay tuned!